There are plenty of sketchy games on Steam, but some are so fishy that the stink even causes Valve’s eyes to water. Platformica was one such game, and now it’s off Steam. 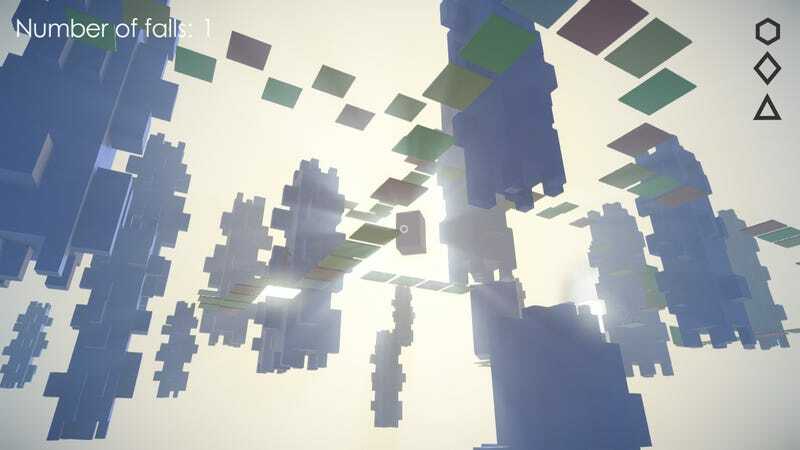 Somewhat surprisingly, the game’s developer has admitted that, yeah, he screwed up. Steam users sussed out that Platformica’s developer, Lunyov Artem Pavlovych, was up to no good, pointing out that he was clearly using multiple accounts to post reviews of his own game. One of the main users who exposed Pavlovych, r4m3, also claimed that Pavlovych reported their photo of one of the game’s bugs as material that violated Steam’s terms of service. They didn’t expect that Valve would actually step in and do something, though. “For these reasons, we are ending our business relationship with Lunyov Artem Pavlovych and removing this game from sale,” they added. The incident echoes a similar one from last week, where the developer of a game called Art of Stealth posted fake reviews and Valve intervened. This time, though, the developer in question actually fessed up and accepted blame. Sounds rough, but that’s what you get for trying to deceive people. It seems like Valve is starting to take a fairly hard-line stance on fake reviews, though, and that’s good. Now if only they’d crack down on more of Steam’s questionable games, groups, and mini-industries, that’d really be something. I suppose baby steps are better than no steps, though. Babies, much like Valve, move slowly, but they strike when you least expect it.